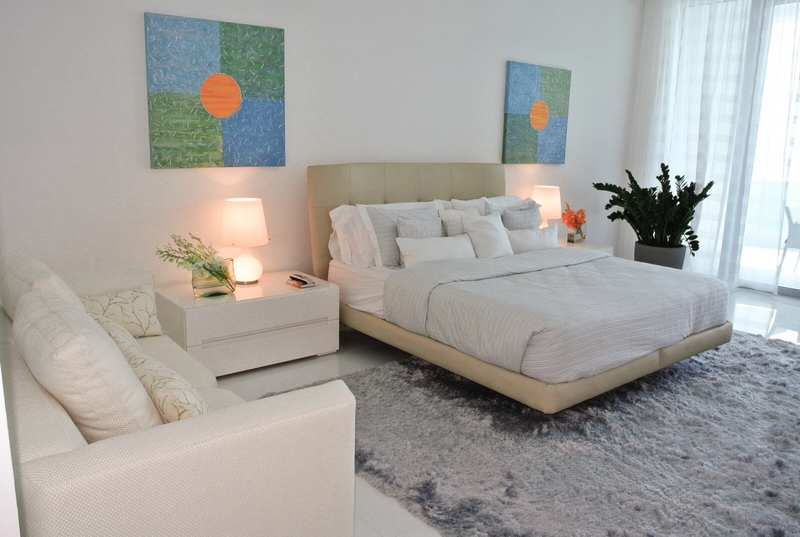 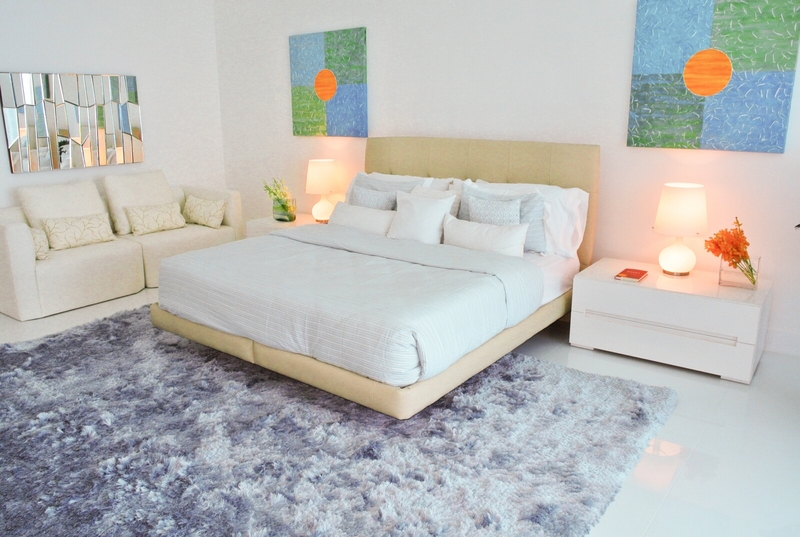 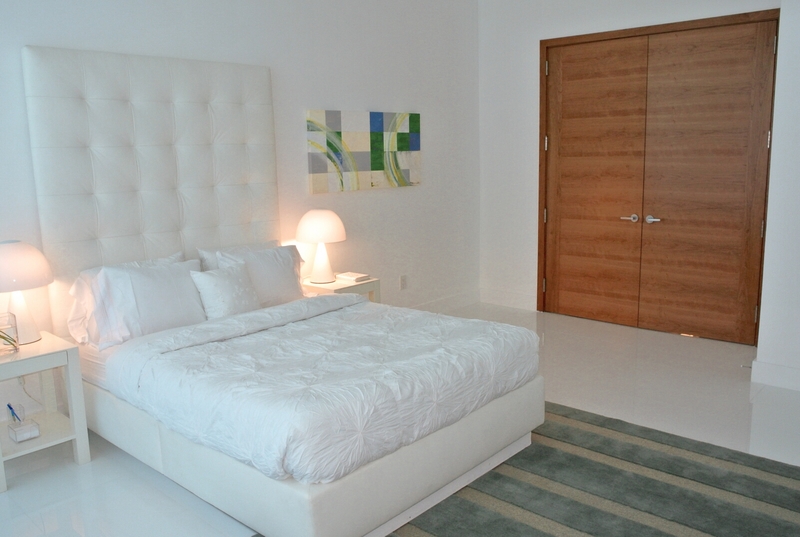 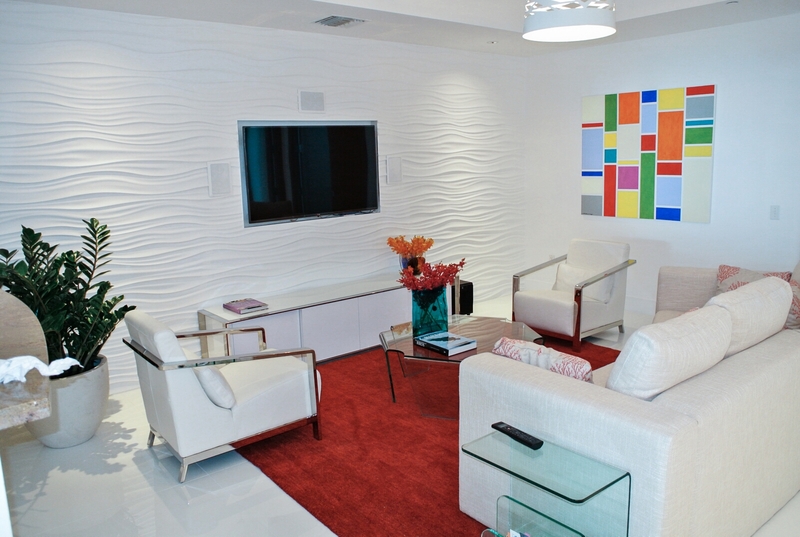 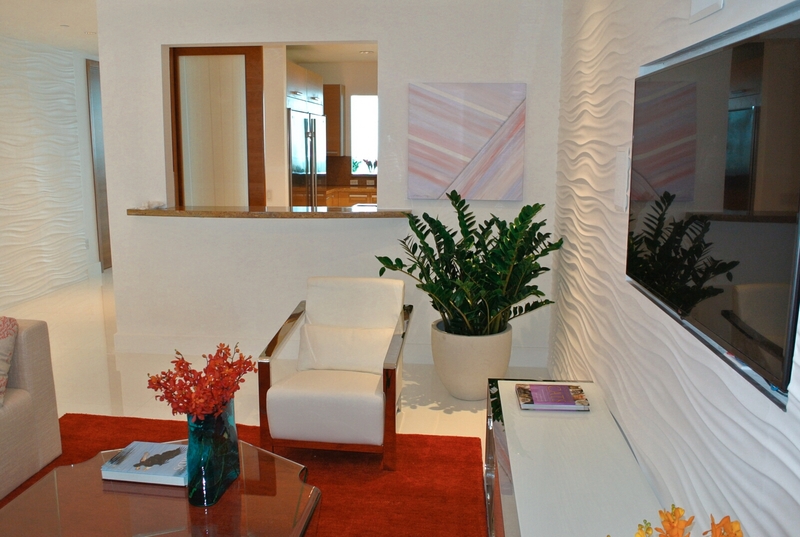 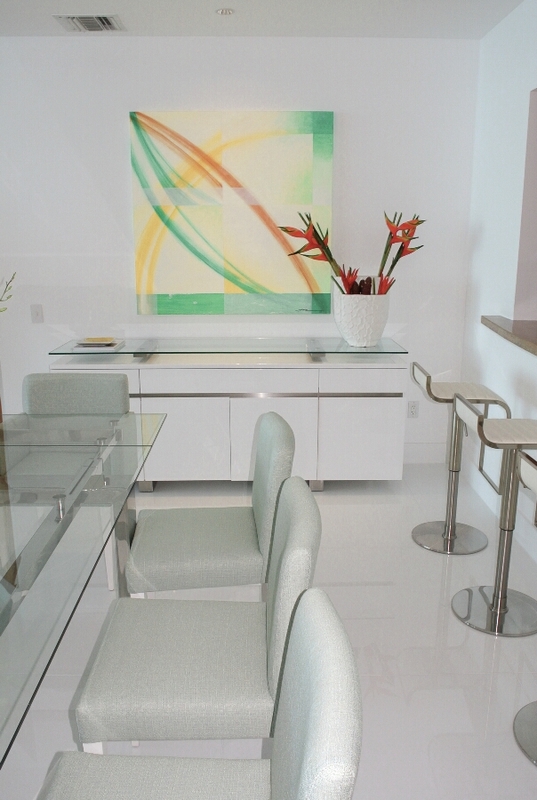 Nestled in this upscale luxury condominium in Miami Beach is this marvel of a paradise. 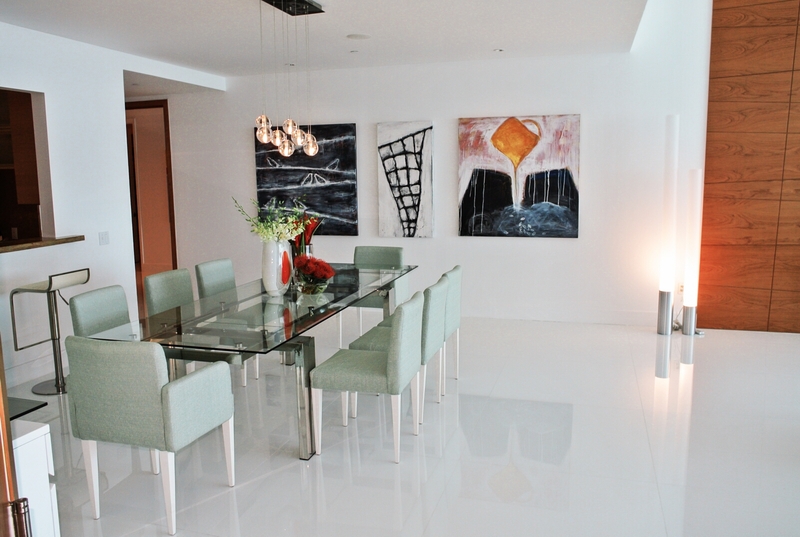 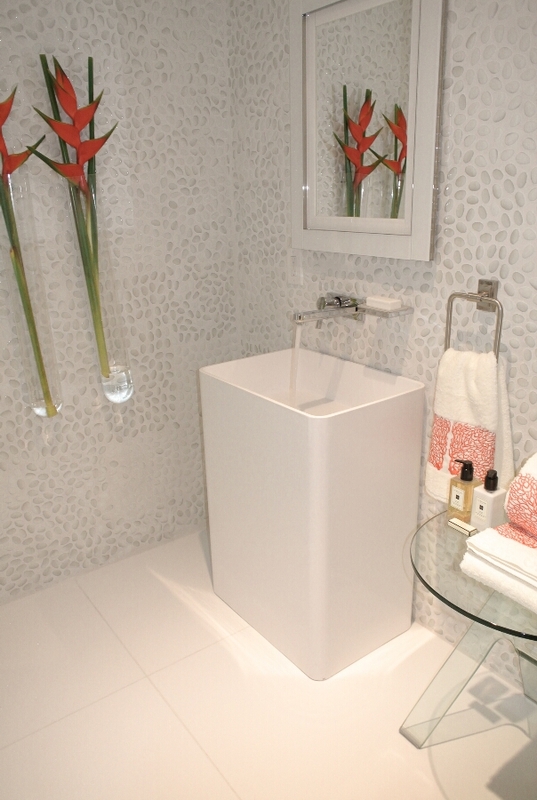 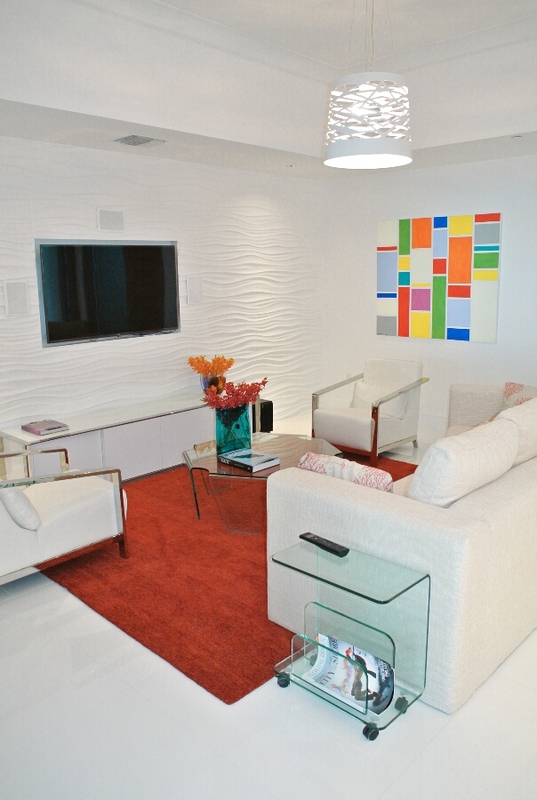 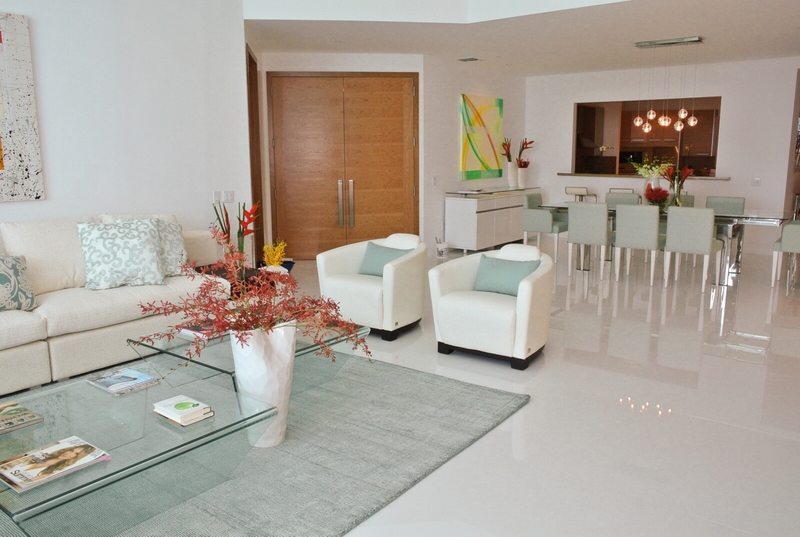 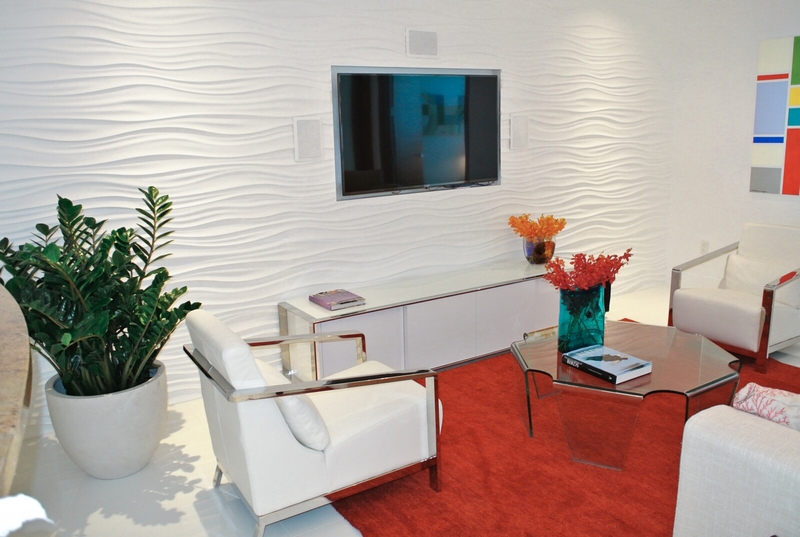 White glass 40” x 40” tiles dressed the 4,000 SF condominium. 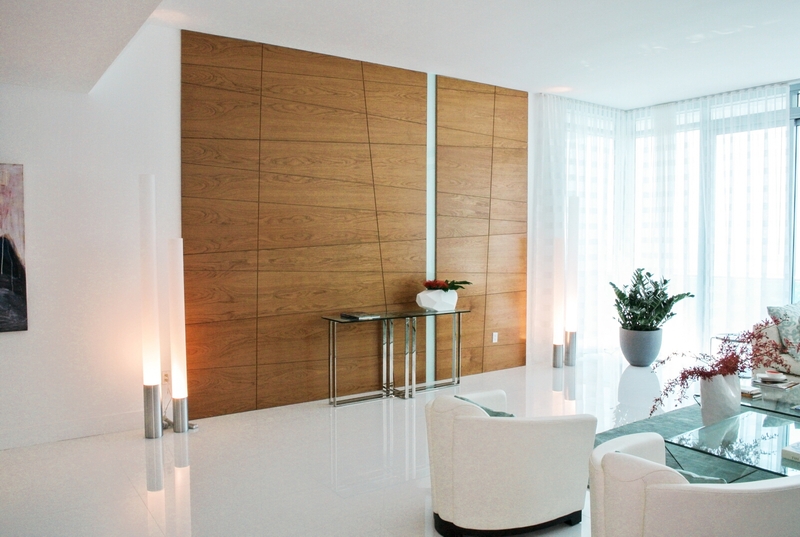 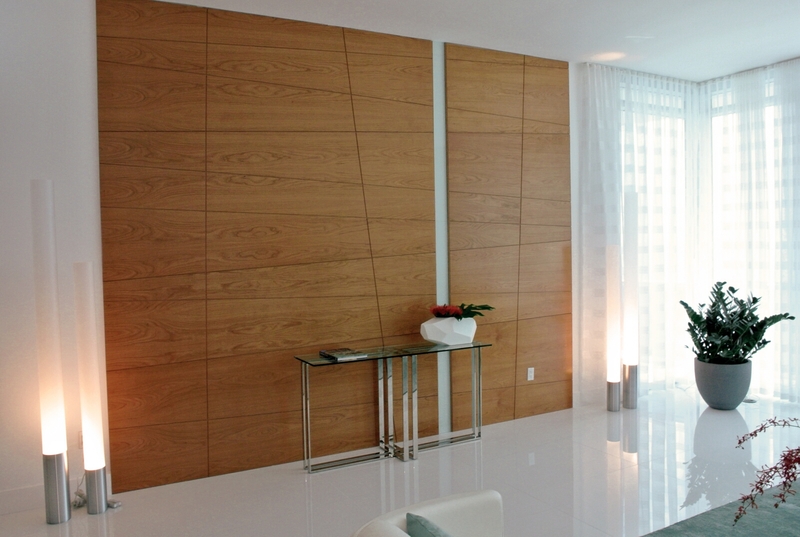 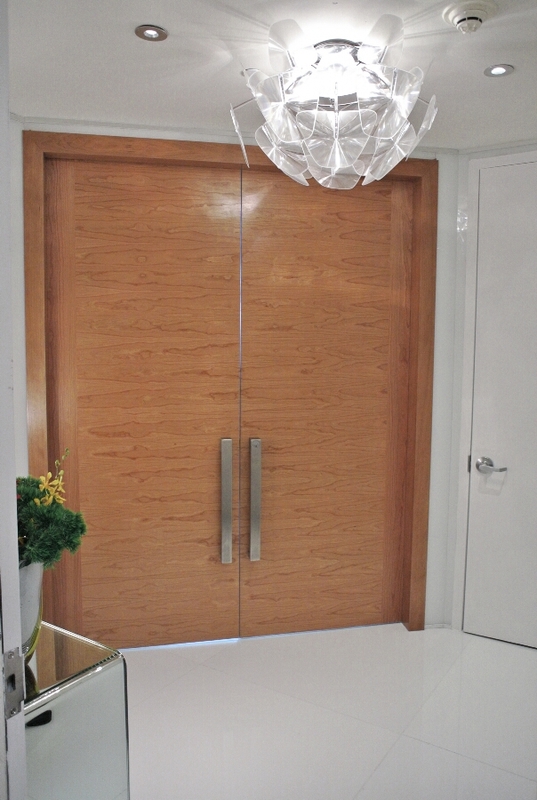 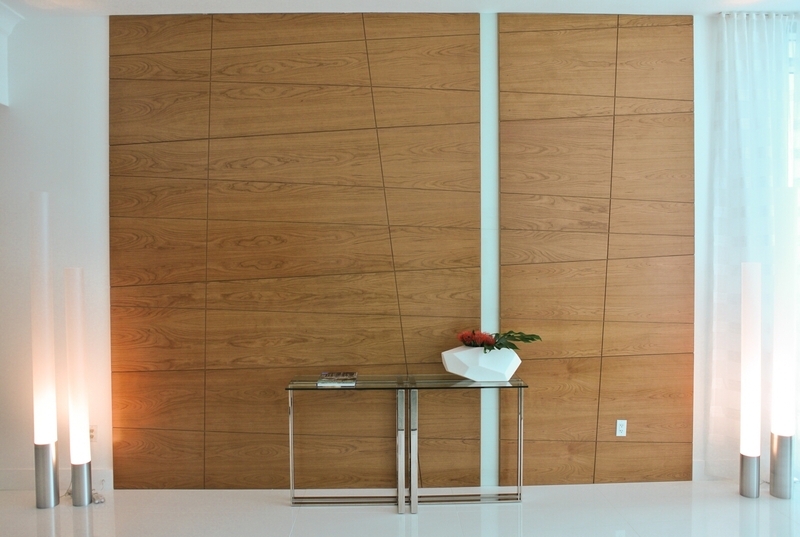 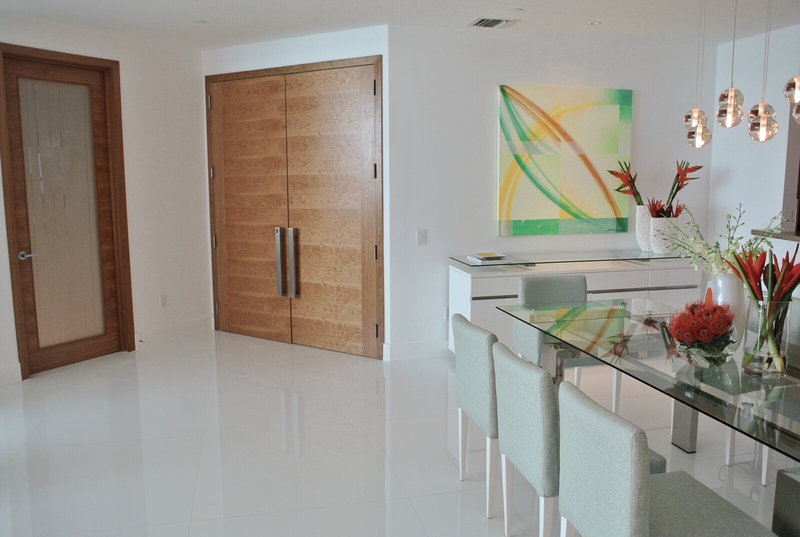 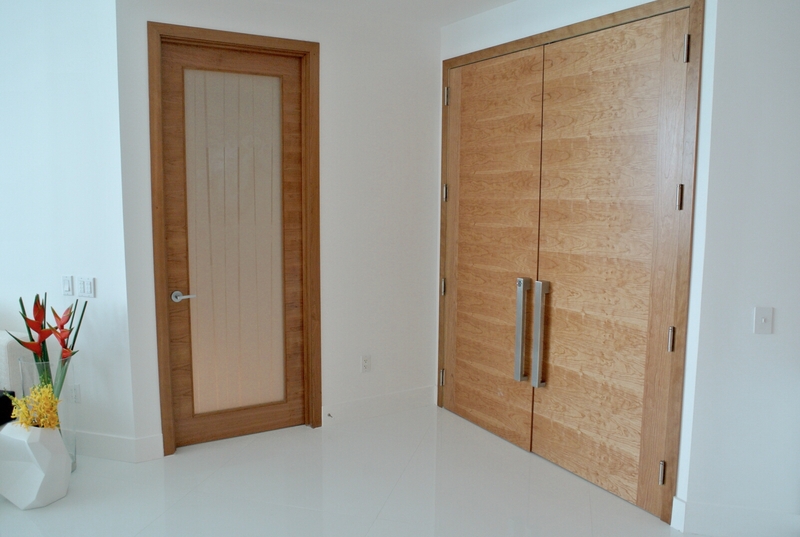 Cherry wood panels attribute to the warmth of the space, coupled with glass and cherry wood doors. 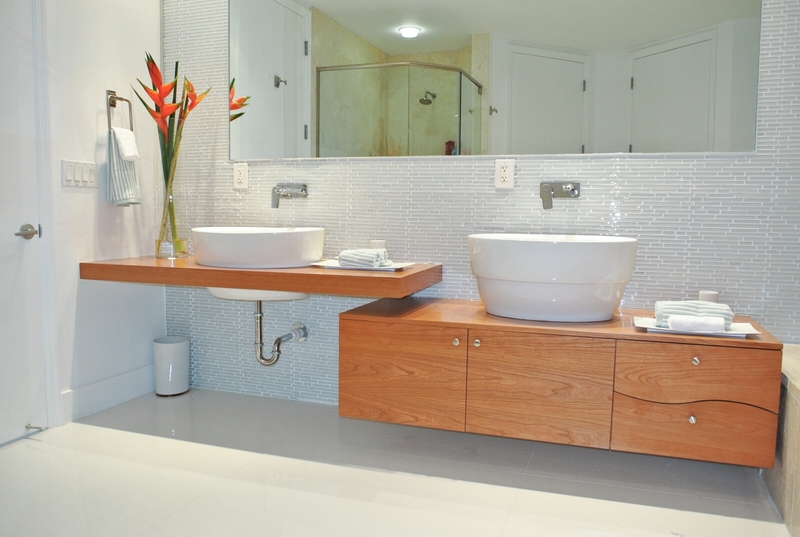 Bathrooms were gorgeously remodeled with wooden 3-dimentional glass pebbles and green glass walls which gave a spa-like vibe. 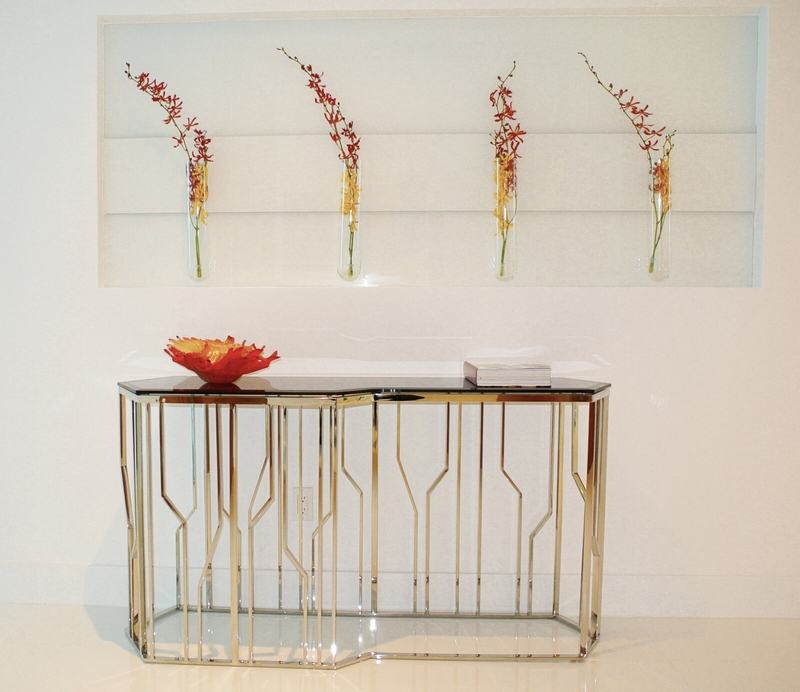 We rounded this beautiful display with modern furniture which was all to the pleasure of our client. 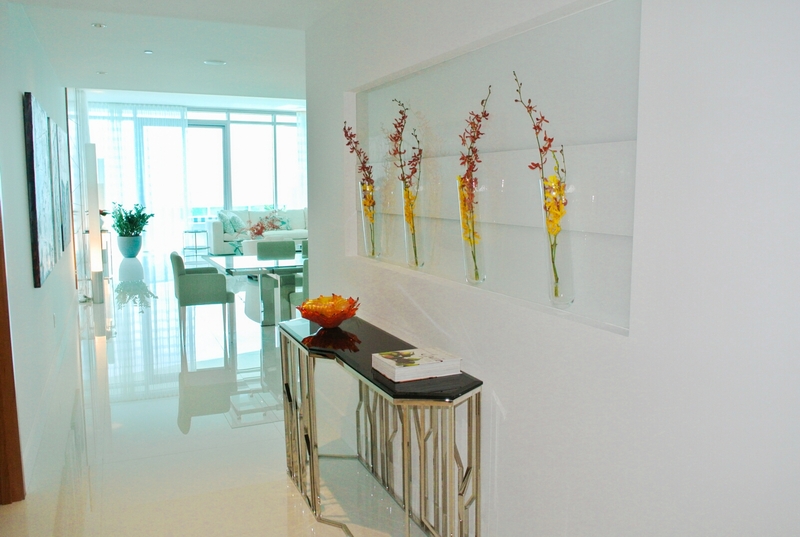 Client was so impressed by another condominium that he saw that was designed by us, and immediately contacted us to re-do his condominium.